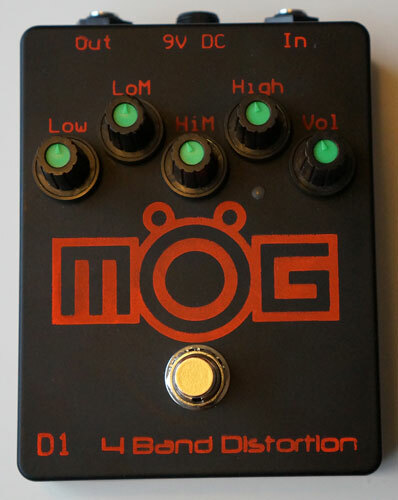 The MÖG D1 is a multi band distortion/overdrive with 4 parallel channels. Completely analog with true bypass. It is designed to behaves similar to 4 parallel tube amps, one for each frequency band. Low, Low Mid, High Mid and High. 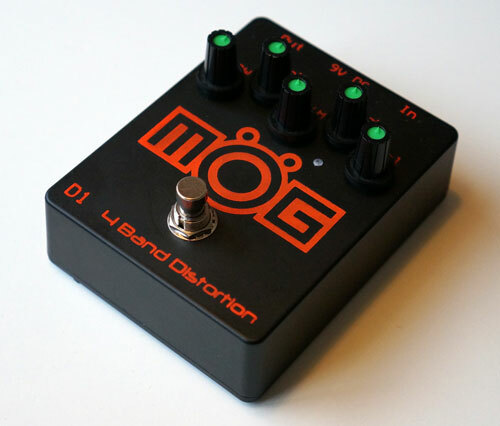 It can be used as everything from a mild overdrive to heavy metal distortion with individual drive setting for each band. Have a look at who is using it. You will find everything from soft electronica to death metal bands. The overdrive/distortion bands has been selected mainly with bass in mind to target what I think are the sweet spots. But it also works really well with guitar and in that case gives a bit of a vintage tone. It sounds good with synths to, where the vintage tone properties adds analogue warmth to something that otherwise could be too synthetic. So basically it can be used with more or less anything depending on what you like. The benefits of the multi band approach is that you don’t get a sound that just clogges up the mid range when you turn up the distortion. 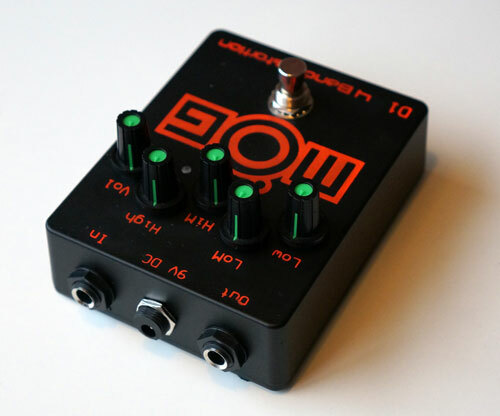 You can still control the low end and not lose the fat bottom of your sound, as clean or distorted as you like. You could decide to let through some of the high end relatively unaffected to still have the snappy transients that heavy distortion otherwise would compress away. The decision to have two separate mid range bands is so you can sculpt your overdrive/distortion more there as there is a lot of interesting things happening in the mid range. 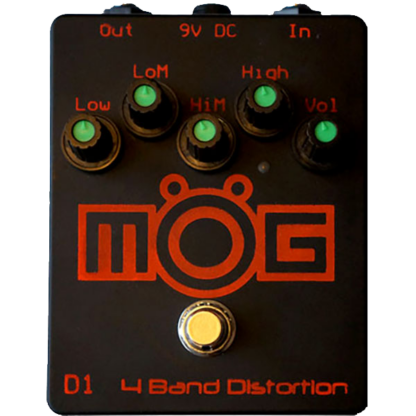 Every distorted frequency band produces a wide variety of overtones. The four bands that produce these overtones, layered together at the output will give you the possibility to a very fat but still distinct sound. This band is made to be able to let the really low frequencys through without too much distortion if you like to keep the bottom end. This band has the most gain. This is where the growl is. Turn it up till you have right amount of low mid dirt. This band is there for coloration of the higher mid band if you like. The center frequency of this band has been selected to specifically let through the metallic string sound of a bass and the high frequency content of transient attack. It is designed to be high enough to give your sound some vivid life but also cuts the really high frequencys a bit so it doesn’t sound harsh. All connections are at the top so you can pack your pedal board tightly. The Mög D1 is 95 mm wide but will occupy less space than a smaller pedal because of the connections on top. An other reason for doing it this way is that if you by accident slip and step on the side of your pedal you will not step on the connectors and break them.